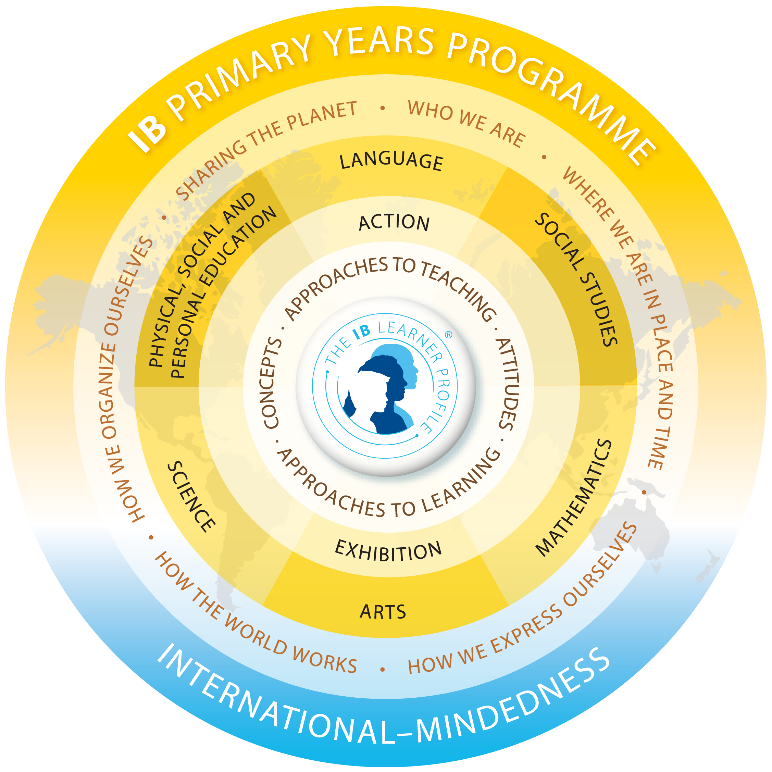 Primary Years Programme (PYP) | "Learning for Life"
The Primary Years Programme (PYP) provides a comprehensive, inquiry-based approach to teaching and learning. The curriculum framework focuses on the total growth of the developing child, touching hearts as well as minds and encompassing social, physical, emotional and cultural needs in addition to academic welfare. At the center of the PYP curriculum are five essential elements: knowledge, concepts, skills, attitudes and action. 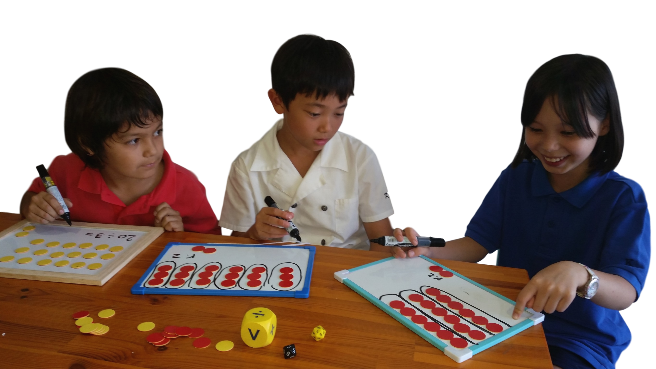 These five elements are used as the basis for all planning and teaching. The school’s program acknowledges the importance of subject areas such as: language; mathematics; social studies; the arts; science and technology; and personal, social and physical education. In order to help students, make meaningful connections, these subjects are integrated wherever possible into units of inquiry. By providing students with this approach, the program aims to further the acquisition of knowledge and skills in the context of an ongoing search for meaning and understanding. Students from K3 to Grade 5 are engaged in six inquiry units a year that are centered around themes of global importance: Who We Are; How We Organize Ourselves; Where We Are in Place and Time; How the World Works; How We Express Ourselves; and Sharing the Planet. In K1 and K2 (3 to 5 years), four inquiry units are explored each year from the above themes. Towards the end of the PYP, students are involved in a culminating experience, the PYP Exhibition, in which Grade 5 students plan and present a collaborative project to the school community to demonstrate what they have learned during their years in the PYP. Alongside the mainstream academic areas, the school offers a broad range of subjects to challenge and stimulate students’ interests. Single subject teachers work with classroom teachers to ensure quality instruction in a range of subject areas. As a school, we believe that this integrated approach to learning provides students with the opportunity to acquire skills in context, and to explore content that is relevant to children and transcends the boundaries of individual subjects. For more information about the PYP, please contact the PYP Coordinator.